One of the conundrums we have been dealing with, in relation to our new life in France, is uncertainty around the implications of Brexit. Like many other people, we now feel uncomfortable about our status in the European Union (EU). Justin and Rosie are both British citizens and, as an Australian, I’ve been able to live in France because I’m married to Justin, an EU citizen. However, with the UK leaving the EU in March 2019, we have had to explore our options for retaining the right to live, and move freely, within Europe as a family. Each country in Europe has their own set of rules for becoming a permanent resident or citizen, most of which include lengthy minimum residency requirements that would be difficult for us to satisfy. However, Portugal also offers non-EU citizens, like me, the opportunity to acquire Portuguese permanent residency, and eventually citizenship, through their Golden Visa Program. We first visited Portugal in 2016, and fell in love with the country - the food, the people, the weather, and the dynamic city of Lisbon. After a lot of soul searching, and research, we we decided that this residency program was the right choice for us. The program requires applicants to make an investment in real estate - in our case, an urban building over 30 years old that needs renovation. Then, after 5 years, you are entitled to apply for citizenship, a process which involves demonstrating ties to the country, including passing a language test. Citizenship of Portugal, and a second passport, will allow our family the right to live, work, and study anywhere in the European Union. The whole process takes around 6 years, from the time you have been granted residency. Last year we spent two weeks in Lisbon looking at properties to buy. We found the Lisbon property market to be a little challenging to navigate for a few reasons; it’s very difficult to get approved for a mortgage, banks are valuing properties at considerably less than the market (often times by less than half), there are a lot of overseas investors paying all cash, and many of the properties needing refurbishment are in a state of dereliction. It’s also a hot market, so you have to move quickly. 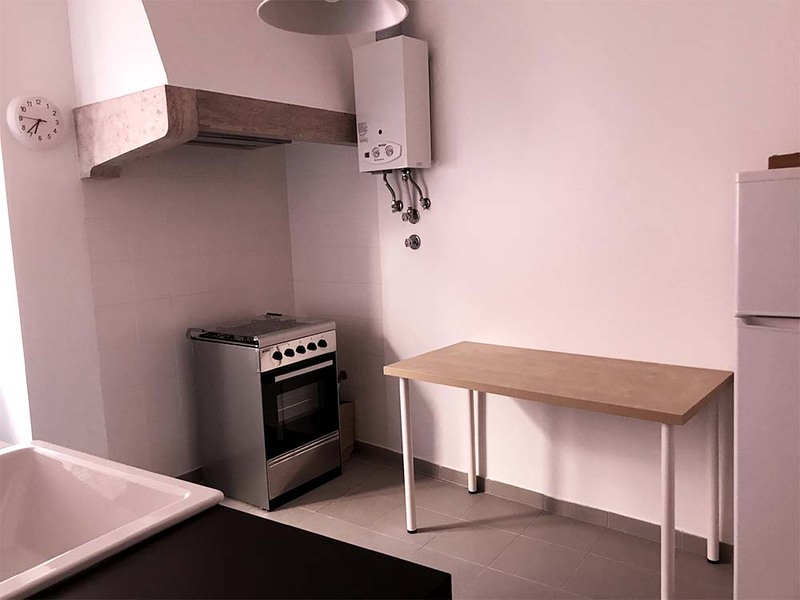 In the end, we settled on two vacant apartments in the same building, a stone’s throw from Avenida da Liberdade. We love the location! Apartment #1 is around 1076 sq ft, with planning permission to extend another 750 sq ft into loft space that sits above the Apartment #2. 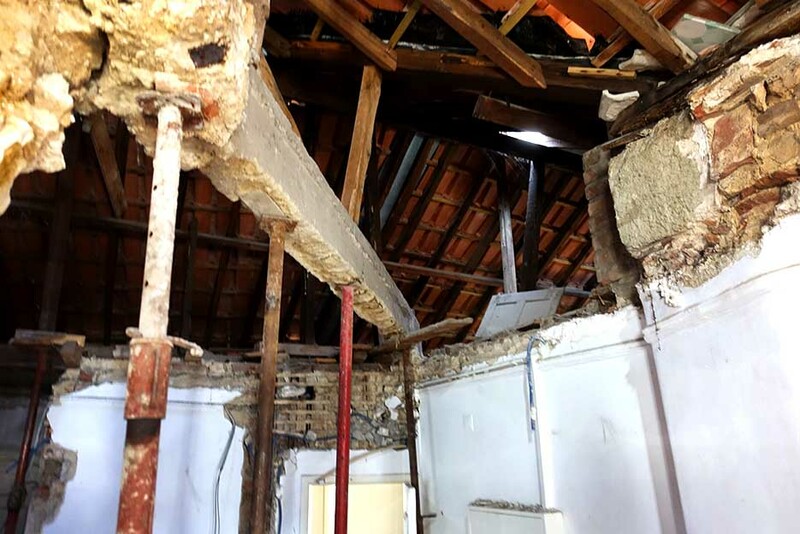 The previous owner completely gutted the property, in preparation for the extension, but then abandoned the project. He decided, instead, to sell the apartment unfinished, along with the planning permission. This worked well for us, because we like to put our own stamp on the interior design. The apartment has lots of potential with lovely tall ceilings. It's a fairly extensive remodel, and the roof needs attention. Water is getting in! The current plans specify a roof terrace to be built above this room, which would give the apartment some very desirable outdoor space. We are allowed to lift the roof over this loft space, to create a full height living space, which will nearly double the size of the apartment. Here you can see the front door to the apartment, and the common landing that is shared with Apartment #2. Unlike Apartment #1, which is a construction zone, Apartment #2 is in a good repair and structurally sound. It was remodeled 3 or 4 years ago, in a very neutral style. Overall the space is very charming with period features, hardwood floors, big windows that flood the space with natural light, and original solid wood doors and shutters. It is around 1260 sqft, with three small bedrooms, a low-height 'bonus' room, and one family bathroom. I really like the entry hall, with the characterful archway. The original hardwood floors extend throughout the whole apartment. The living room has floor to ceiling windows, that open onto Juliet balconies. The 'bonus' room. Justin is 6' tall and can't stand upright in this room, but it could work as a kid's bedroom or playroom. The bathroom is compact, but it's also clean and functional. The kitchen is very basic, and would benefit from an upgrade. It's such a blank canvas, I can't wait to re-imagine the space and get started on the transformation! We'll replace these counters with stone or granite. We'll add a counter-top to surround the oven and replace the freestanding table. We will build in the fridge, with cabinetry above. The transformation of this kitchen will dramatically improve this whole apartment. 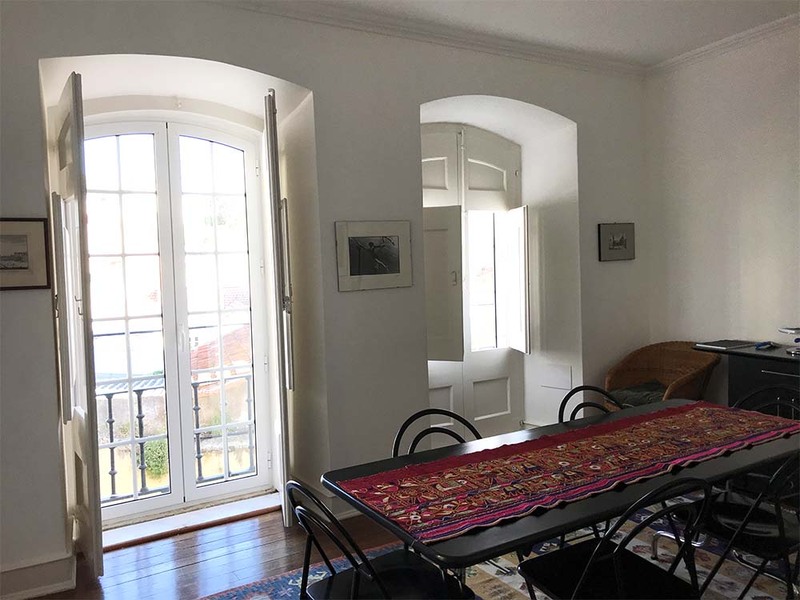 This is an exciting project for us, as both an investment in the Portuguese property market and our future home in Lisbon. The Golden Visa requires us to spend 2 weeks every 2 years in Portugal for the first 5 years of the program, but then in the 6th year we must reside in Portugal for the entire year (in order for citizenship to be granted). It's a somewhat daunting thought, but it's also an incredible opportunity for Justin, Rosie and I to be thoroughly immersed in a new culture, and learn a new language. To begin with, we will live in Apartment #2 while we remodel the other, but eventually Apartment #1 will become our Portuguese home. 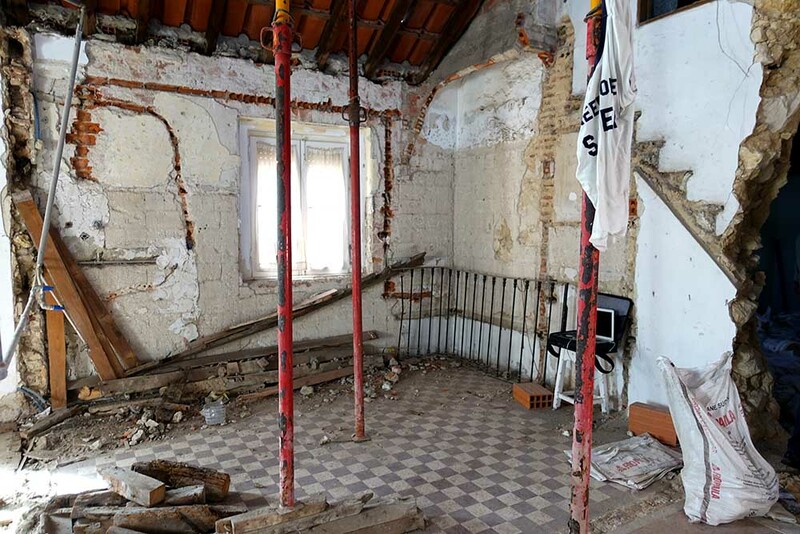 We'll be returning to Lisbon soon to meet with builders, and get cracking on this remodel. Stay tuned! P.S. For more behind the scenes updates on our life and property projects, you can follow me on Instagram @thislifeisbelle.